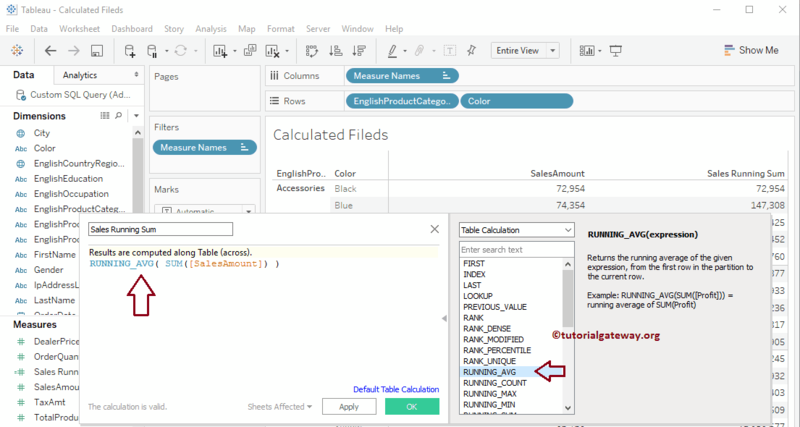 If your data source doesn’t include the fields that you are looking, then you can create a Calculated Field. 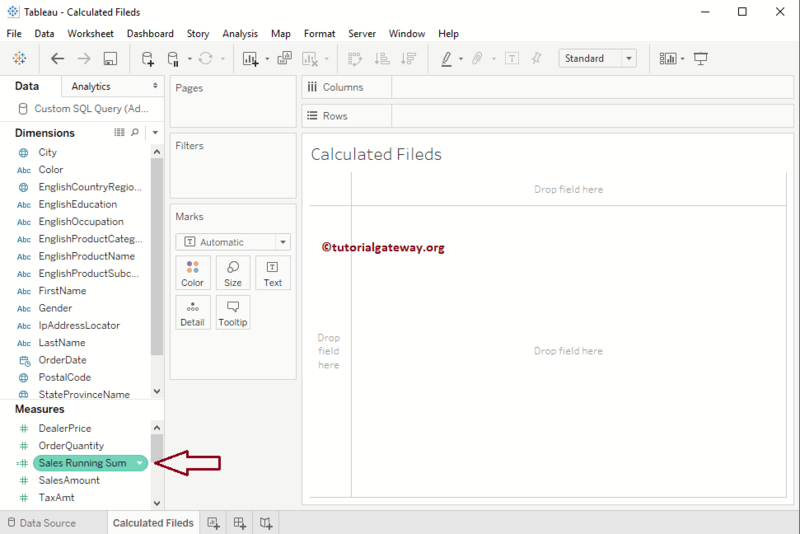 In this article, we will show you, How to create calculated Field in Tableau with an example. 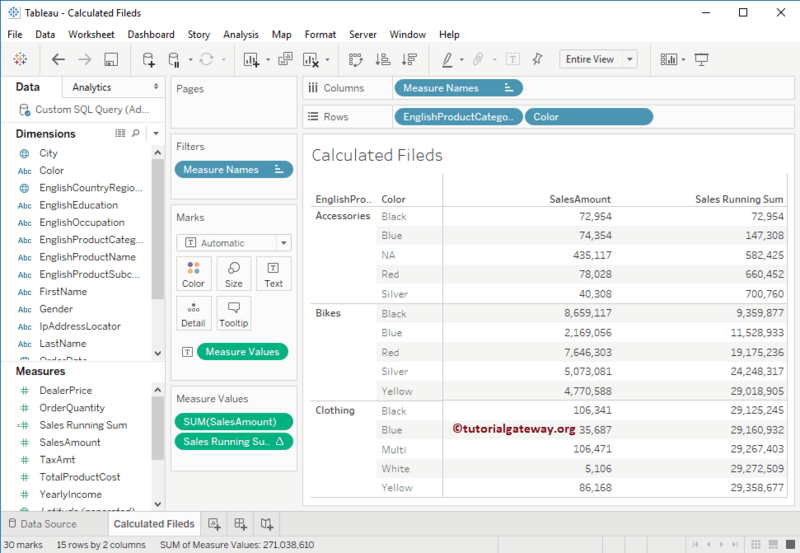 For this Tableau Calculated Field demonstration, we are going to use the data source that we created in our previous article so, Please visit Data Labels in Tableau Reports article to understand the Data Source. 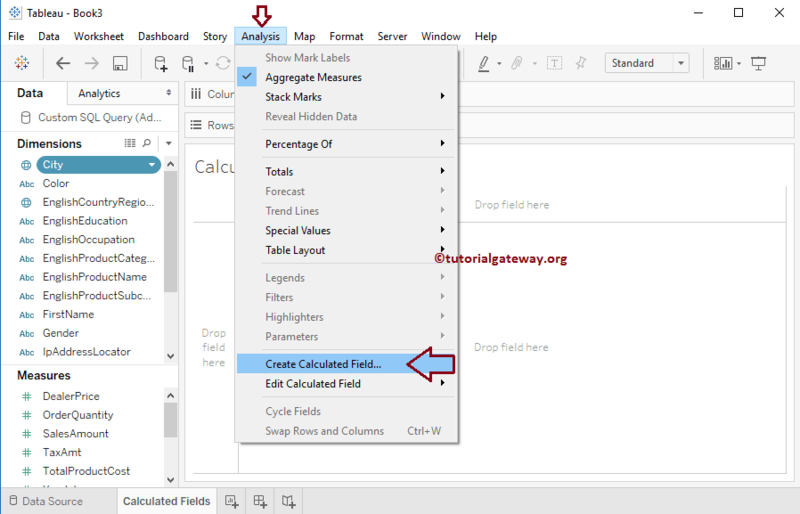 You can create a Tableau calculated filed in multiple ways, and the first approach is: Please navigate to Analysis Tab and select the Create Calculated Field… option as shown below. 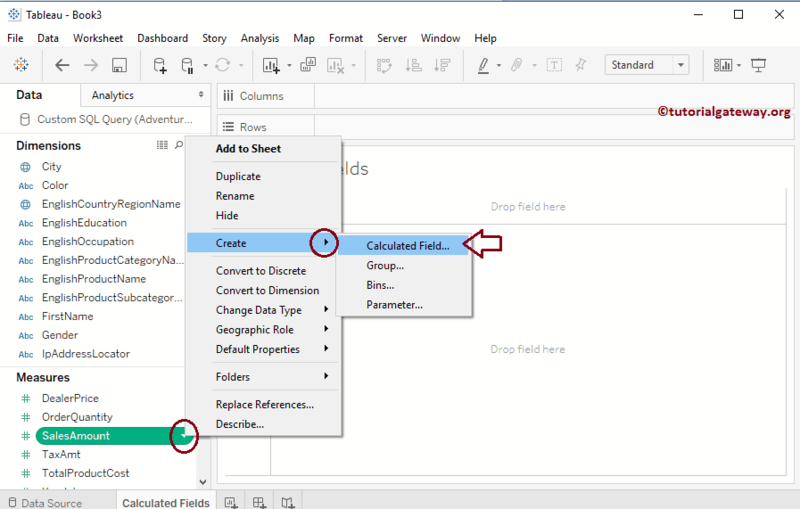 Once you click on the Create Calculated Field… option, a new window will be opened to write the calculation. 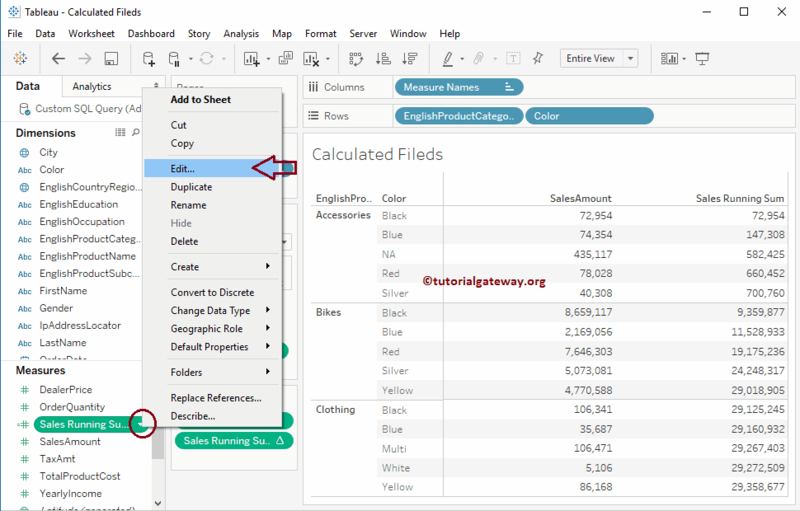 Please click on the Down arrow beside the Sales Amount Measure (change as per your requirement), or right click on it will open the context menu. 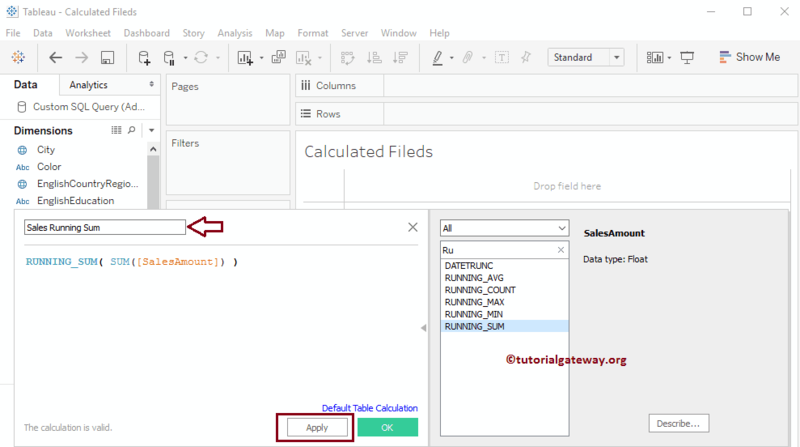 From the list of available options, please select the Create option and then select the Calculated Field… option as shown below. 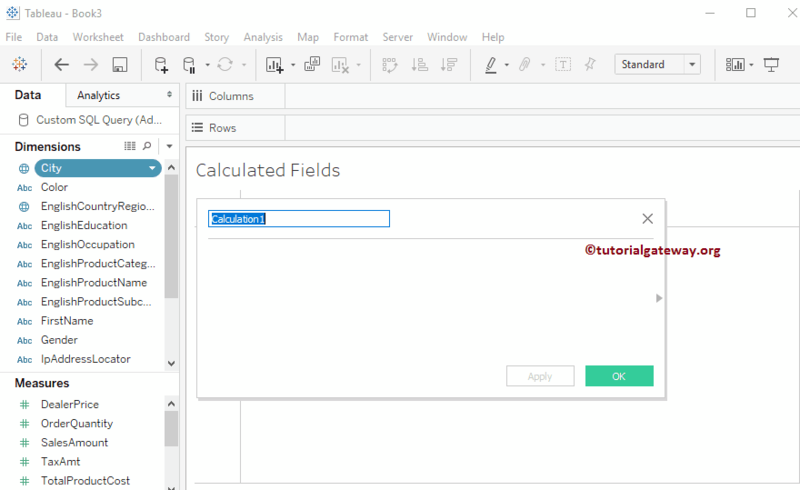 Once you click on the Calculated Field… option, a new window will be opened to write the calculation. If you know the formula then you can write it directly on that Measure, or any other Measure. 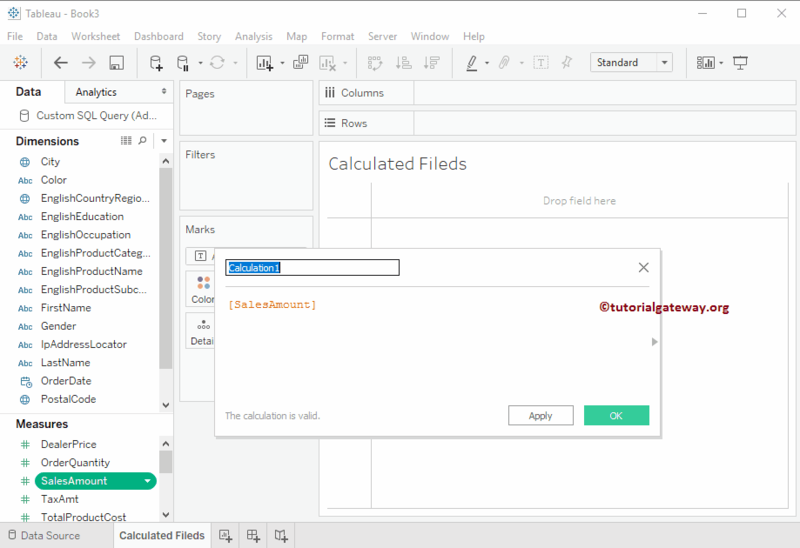 Or, If you don’t know the syntax of the function then click on the side arrow. 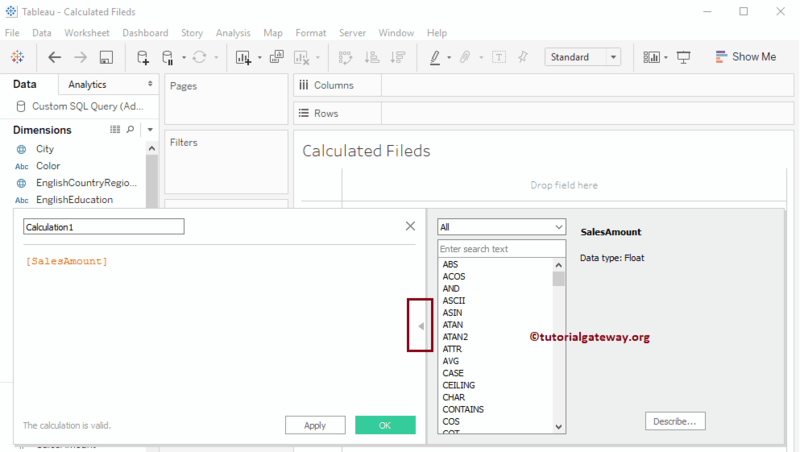 Once you click on that arrow, it will list out all the functions available in Tableau as we shown below. 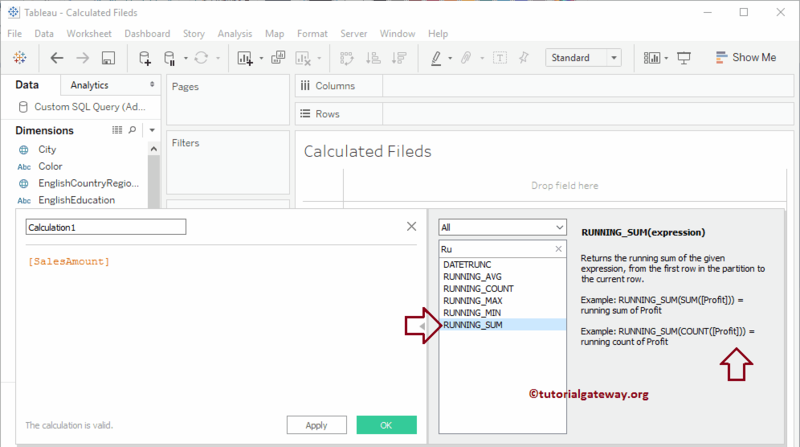 In this example, we will calculate the Running Total so, we are using the RUNNING_SUM function. Here, you can see the example to understand the syntax of a function. 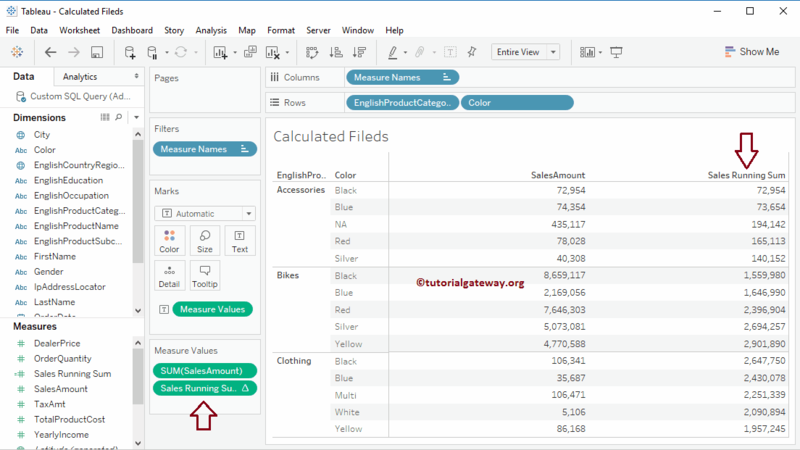 We created one table report to show our newly created calculated filed result. As you can see the last column is displaying the Running Total. 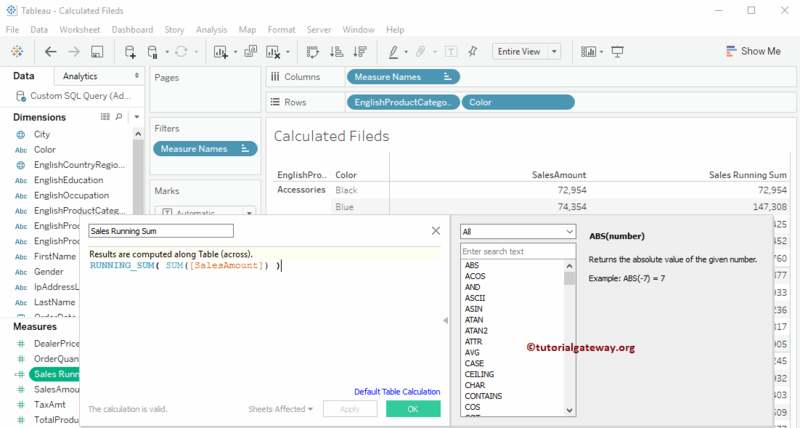 In order to change the existing table calculation, please click on the down arrow beside the table calculation and select the Edit.. option as shown below.